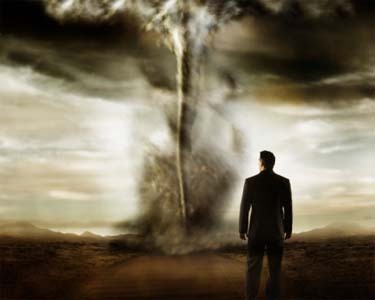 Most people usually associate the word Apocalypse with some type of destruction, the collapse of society or other negative, fear based based connotations. Religious doctrine seems to have it’s own definition of the Apocalypse as an event where good over comes evil, the End Times , the End of the World , where God wipes out humanity. Our definitions of things impact greatly our experiences of them. Its our definitions , our beliefs that create the reality we experience. If we are moving through a more highly charged section of space , along with the solar system, the galaxy , the universe, then knowing this can help us to steer , to navigate the Apocalypse, we can put ourselves in the drivers seat of this personal and collective experience. So with that said, lets start with the definition of Apocalypse, I say we stick with the Greek definition of Apocalypse , which is the Un Veiling , the uncovering , the revelation. I know it can be frustrating waiting for the apocalypse , its like a slow motion train wreck watching this thing unfold and for those of us that have been awake for a while it seems like eternity. It seems strange to want the apocalypse to come , but I guess it all depends on how you define the apocalypse. Once your awake its really hard to go back to sleep no matter how hard you may try. Most of us right now are just trying to survive , we no longer think in terms of , when will I retire , or what will I be doing in 2 years. Most of us are learning the art of taking it one day at a time out of absolute necessity , or we would go insane. So an actual shift has occurred if you think about it , by necessity we are forced to learn to live in the moment, I love the way universe uses everything. But I still find myself day dreaming about the apocalypse , waiting for its arrival, as if it means I will be going on a giant holiday. Apocalypse When ? When is it going to happen ? When is something going to happen ? Ok I better zoom in a bit more , maybe too much big picture thinking. There are things happening everywhere , the world is flooded with things happening , but when is something going to change , when are we going to stop fighting , stop killing each other . That’s what I am waiting for !